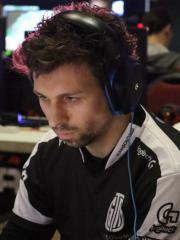 Julien "Cydonia" Perrault-Harvey is a Canadian Hearthstone player. Currently, Cydonia is ranked #1029 in highest overall earnings, and #34 in highest earnings for players from Canada. Out of the 18 tournaments where Cydonia received a cash prize, the largest was $50,000.00 from BlizzCon 2016 (Hearthstone) on November 5, 2016. He placed 5th-8th, making up 53.28% of his total prize money won. In the last 90 days, Cydonia has won $1,000.00 in cash prizes from a single tournament, none of which came in the last month.